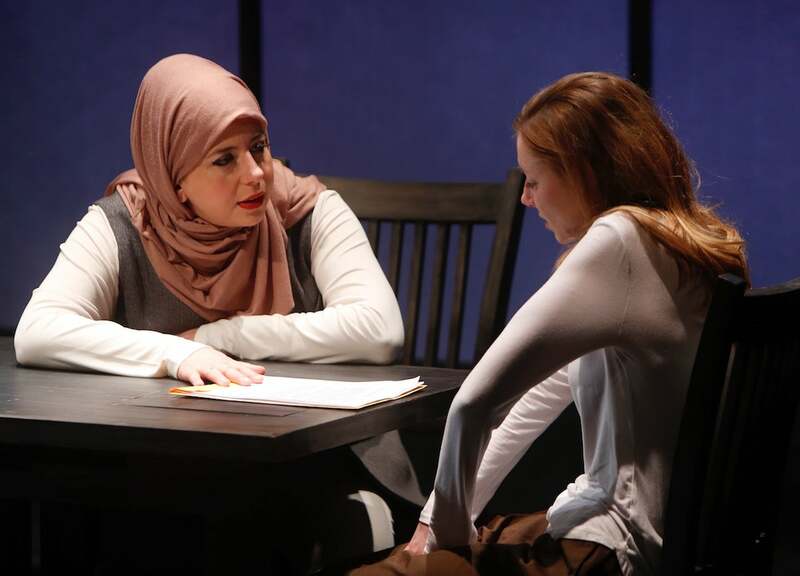 In the provocative Faceless, two young women face off in a courtroom, locked in a battle of wills and theologies. Susie Glenn, 18, is on trial after joining ISIS online. Her prosecutor, Claire Fathi, is a Harvard-educated Muslim lawyer who lives the faith that Susie professes to understand. See how this intriguing story came together in our "First Look" video below, featuring interviews with performers Lindsay Stock and Susaan Jamshidi, as well as director BJ Jones. The show opens next Friday, January 19.